High blood pressure is a problem that many of us face and it can be difficult to work out how to start getting it back under control. In today’s society we reach for prescription medications a tad too fast. Once they start, most people are going to take blood pressure medications for the rest of their life. 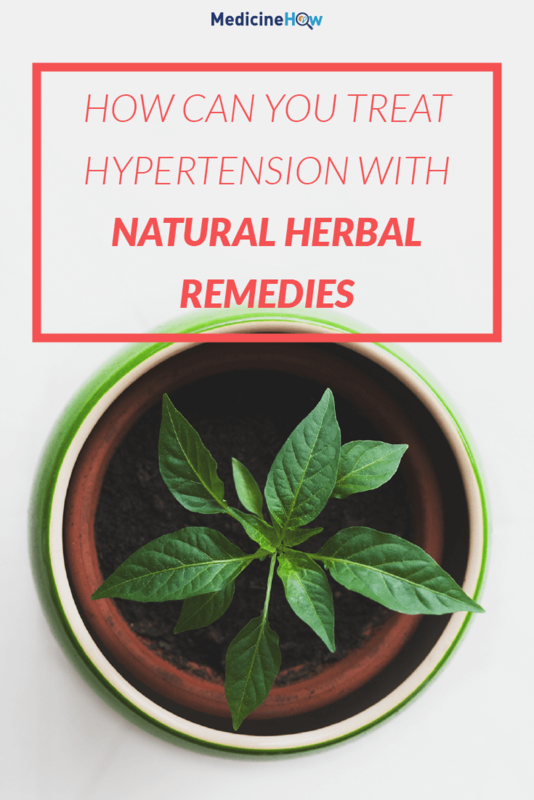 Doesn’t it make sense to try some natural hypertension remedies first? 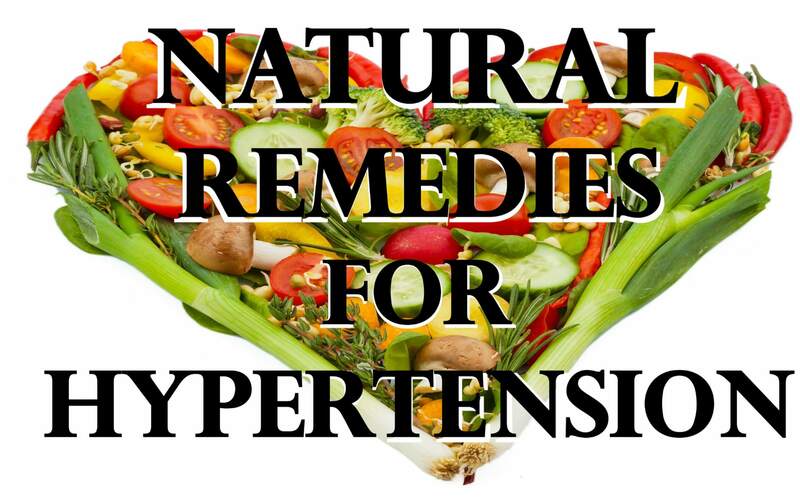 The problem with the natural hypertension remedies is the lack of scientific evidence. This doesn’t mean they don’t work, but that no one has invested to make a quality trial to test the results of the plant properties. 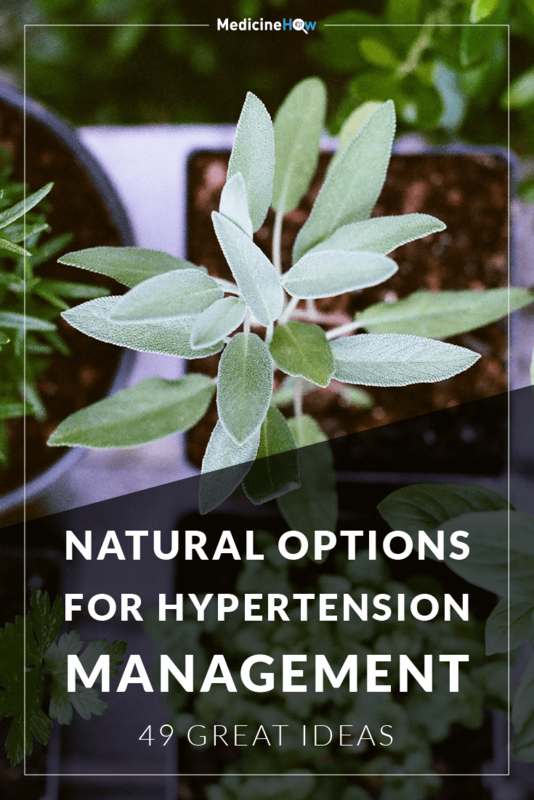 I came across a scientific paper that summarised a huge list of plants and herbs that may help in the treatment of hypertension. So I decided to expand the research, reading hundreds of papers and putting together a list of plants that might help to reduce blood pressure, with links to the best research I can find. Garlic has a long history of use in the treatment of hypertension and hyperlipidemia. The active component in garlic is called allicin. It works by increasing the production of nitric oxide in the body, which causes the smooth muscles surrounding the blood vessels to relax and the blood vessels to get larger. It has been shown to decrease blood pressure in patients with hypertension and its effect is superior to placebo. The Cochrane review notes that garlic is associated with a reduction in blood pressure, but it is unclear if this can be accounted for by normal variation in blood pressure. The roselle plant native to West African countries is one of the best-studied medicinal plants for the management of hypertension. The extract of the plant is thought to have an effect on acetylcholine in the body, relaxing the smooth muscles surrounding blood vessels to let more blood through more easily and reducing the blood pressure. Additionally, it may also have an effect on the heart rate, further reducing the blood pressure. Both human and animal studies have shown the antihypertensive effect of roselle and there are few side effects to be concerned with. The Cochrane review did not find sufficient evidence to recommend its use and calls for further scientific research in the area. Tea has been believed to have an effect of cardiovascular disease by many, particularly in Asia countries, for a long time. Although black tea that has been fermented does not seem to affect blood pressure, green tea (unfermented) and oolong tea (partially fermented) are thought to help decrease blood pressure. A study of 1507 people in China found that people who drank at least 120mL of green or oolong tea every day for a year were less likely to suffer from hypertension. Whole oats are a rich source of fiber and are believed to help improve blood pressure control, reducing the need for antihypertensive medications. One study showed that a diet high in fiber contributed to a reduction in hypertension and another that increasing intake of oats may help to prevent and treat hypertension, alongside other methods. The extract from the rauwolfia plant was traditionally used in Hindu medicine and is thought to have strong properties to lower blood pressure and help in the treatment of several other health conditions. Most of the scientific research supporting the use of Rauwolfia is quite dated (from 1950-60), but it is certainly an interesting option for hypertension management. Pomegranate juice may be able to reduce blood pressure due to the effect it has on the production of the angiotensin II hormone in the body. One study showed that the action of the enzyme is reduced by one-third, leading to a 5% decrease in blood pressure. It appears that his effect, however, is less pronounced when taking pomegranate juice regularly. This herb of Egyptian origin yields seed that is rich in α-linolenic acid, which is an omega-3 fatty acid believed to be useful in the prevention of heart disease. It is likely to decrease blood pressure and the concentration of cholesterol and lipoprotein in the body. This study examined the antihypertensive effect of flaxseed in humans with dietary interventions involving higher intake of flaxseed. The results were evident, showing a potent antihypertensive effect. 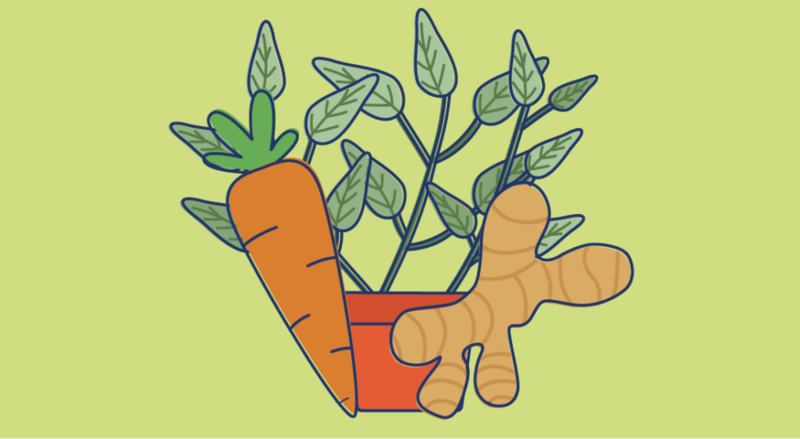 Native to Asia, the ginger root is well known for its ability to improve blood circulation and relax the blood vessels, which may lead to a decrease in blood pressure. A study of rats found a significant decrease blood pressure with the administration of ginger, caused by changes to the function of calcium channels in the body. Trials in human patients are not widespread, but it may be effective if sufficient doses are used. Cocoa powder is rich in flavonoids with antioxidant properties, which may be useful in the prevention of cardiovascular disease and the lowering of blood pressure. As they stimulate the formation of nitric oxide, the blood vessels widen to let more blood pass through easily, lowering the blood pressure. A small study of 13 patients showed that the cocoa bean powder was able to effectively lower blood pressure. Cat’s claw has been used in traditional oriental medicine to relieve neurological symptoms and lower blood pressure. The active component, hirsutine, is an alkaloid substance that blocks the calcium channels, leading to a relaxation of the muscles and a reduction in blood pressure. A study of rats showed that administration with Cat’s Claw led to a reduction in blood pressure. This plant has been used in traditional Chinese medicine for thousands of years and has long been thought to have an effect of blood pressure, due to the flavonoids and oligomeric procyanidins in the plant. Antioxidants like these can help to prevent atherosclerosis and hypertension. It has many effects on the cardiovascular system, helping to strengthen the heart and relax the muscles surround the blood vessels, lowering the blood pressure. This is thought to occur by the stimulation of nitrous oxide. The leaf of this small tree has been used in traditional medicine to reduce blood pressure. Its effect is caused by the relaxant effect of leaf extract that widens the blood vessels in your body by relaxing the surrounding smooth muscle, allowing the blood to pass through more easily. One study of rats found that the extract from the leaf of the plant caused the smooth muscle around the blood vessels to relax, and may help to reduce blood pressure. Prickly custard apple is native to the Caribbean and Central America and the extract from the leaves of the tree has been reported to help lower blood pressure.It is thought to work by blocking the action of calcium ions in the body, which usually help to tighten the muscles around the blood vessels. As a result, the blood vessels widen and help to lower blood pressure. The extract from Ajwain seeds has been linked to a reduction in blood pressure, which is thought to work by slowing the heart rate and blocking calcium channels to allow the blood vessels to expand. A study of rats measured the changes in blood pressure after doses of Ajwain seed extract and found that it cause a drop in blood pressure, depending on the dose. Soybean may have an effect on heart health and modestly reduce blood pressure. This study of 312 Chinese patients found that supplementation with soybean protein helped to reduce blood pressure. However, the effect is modest and not all studies have shown a strong relationship. Breadfruit is a plant native to the Malay Peninsula and western Pacific islands. It is thought to help reduce blood pressure by blocking calcium ions from tightening the muscles around the blood vessels. An animal study of rats found that breadfruit leaf extract was able to reduce blood pressure and is unlikely to interact with other medications. The extract from lavender flowers has been linked to hypertension management, because of its effect to reduce the heart rate and vascular resistance, reducing blood pressure. A study of rats showed that administration with this extract effectively reduced blood pressure. Buchu is a medicinal plant found in Southern Africa that has been used by indigenous people to treat a wide range of ailments for centuries. Because of its action as a diuretic, buchu may help to treat hypertension. Diuretic medications are often prescribed to reduce blood pressure, because they help to reduce the volume of blood in the body. There’s not a lot scientific evidence to support its use but, theoretically, it may be beneficial. Components for the leaves and stem of the Osbeck plant have been noted to cause a drop in blood pressure, as well as a decrease in heart rate and oxygen consumption of the heart. In a study of rats, the plant extract was found to decrease hypertension by stimulating the cholinergic receptor and blocking the alpha-adrenoceptor in the body. This shrub native to India is thought to have an antihypertensive effect in the aqueous acetone extract, with the presence of active substances coilagin, castalagin and chebulinic acid. A study of rats showed a reduction in blood pressure, due to the relaxant effect on the blood vessels in the body. Maritime pine was traditionally used to treat venous insufficiency but may also have an effect on the management of hypertension. The extract contains pycyogenol, a powerful antioxidant and may also work by stopping the production of the angiotensin hormone, decreasing the blood pressure. This study of patients with mild hypertension showed a modest improvement in blood pressure. Carrots have been used in traditional medicine worldwide to help manage hypertension. In a study of rats, an injection of the active daunus carota component was found to cause a decrease in blood pressure by blocking calcium channels and allowing the blood vessels in the body to enlarge. Native to Argentina and Chile, an infusion of the leaves of hardy fuchsia is thought to help in reducing body temperature and blood pressure. It has a diuretic effect, which reduces the volume of blood in circulation and the blood pressure as a result. A study of rats found that is had a moderately strong antihypertensive effect. The extract from the tomato plant is rich in carotenoids such as lycopene, beta-carotene and vitamin E, which work as antioxidants to slow the atherosclerotic process in the body. This study showed a modest effect of tomato extract in a reduction of blood pressure. The seed from the celery plant has been in Chinese medicine for centuries and is useful for its action on the liver. In one study of 37 patients, apium graveolens seed caused a reduction blood pressure of hypertensive patients that was statistically significant. River Lily was used to help the respiratory and cardiovascular systems in traditional medicine in Western Nigeria. One study that investigated these effects found that the plant causes an increase in respiratory tidal volume and decrease in blood pressure. This plant native to tropical rain forests in West African countries may help to reduce blood pressure due to its effect on the smooth muscle surrounding the blood pressure, which relax and allow blood to pass through more easily. A study of rats showed a reduction in arterial blood pressure following administration of Umbrella tree extract. The extract from the leaves of this plant has diuretic properties that may be useful to reduce blood pressure in hypertensive patients. An animal study of rats showed that administration of the nela nelli extract causes a decrease in heart rate and relaxation of the smooth muscle around the blood vessels, leading to a reduction in blood pressure. The root of this plant has many uses in Chinese medicine, including as a muscle relaxant, antipyretic and in the management of hypertension. A study of rats showed that the plant caused a reduction in blood pressure, due to the relaxant effect on the smooth muscles surrounding the blood vessels, allowing blood to pass through more easily. Extract from the Lasaf plant may help to decrease blood pressure by decreasing the heart rate and vascular resistance in the body. A study of rats found that the drop in blood pressure corresponded to the dose of lasaf extract. This plant native to the Canary Islands is thought to have a diuretic action, which leads to reduction in blood volume and also blood pressure in the body. A study of rats supported this idea, showing that the blood pressure decrease with administration of Rompepiedra extract. The extract from Giant dodder has been linked to a decrease in systolic and diastolic blood pressure, due to its effect on the heart that leads to a slower heart rate and less forceful beats. This effect has been shown in animal studies but there are no high-quality human studies. The extract from the leaves of this tropical plant has been used in the traditional medicine of Suriname as a treatment for hypertension. Animal studies of rats and guinea pigs have support the use of the plant, showing a reduction in blood pressure due to its effect on the heart. The extract of harmal contain the active substances harmine, harmaline, tetrahydroharmine, harmol and harmaloi, which may have an effect on blood pressure. 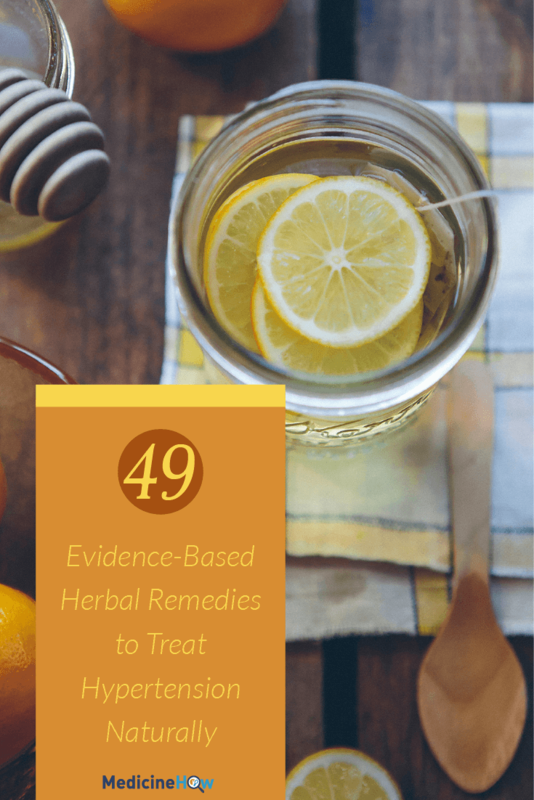 A study of rats showed that the extract led to a reduction in heart rate and blood pressure. The root of this herb traditionally used in Paraguay has diuretic properties, which may help to decrease the volume of blood and blood pressure in the body. In a study of rats, the extract administered orally helped to reduce blood pressure in rats with hypertension and had less noticeable effects on those with normal blood pressure. The extract from radish seen may help to manage blood pressure due to its effect on the heart to slow the heart rate and reduce the force of each beat. An animal study of rats showed that the extract was safe and effective to lower blood pressure. The aqueous extract from the leaves is thought to have an effect on the action of nitric oxide in the body, leading to relaxation of the vascular muscles and lower blood pressure. An animal study of rats supported the use of mistletoe extract, with low risks of use and utility in lowering blood pressure. The bark of this tree may be able to help in the treatment of hypertension. An animal study of rats revealed that it worked by blocking calcium channels in the body, relaxing the smooth muscles around the blood vessels and allowing more blood to pass through. The oil extract from the seeds contains sesamin, which may have antihypertensive effects. An animal study of rats found that sesamin helped to lower blood pressure due to antioxidant properties, which may also be useful in the treatment of high cholesterol in the body. The extract of this flower that is native to the United States is reported to help decrease blood pressure by relaxing the aorta rings. This was shown in a study of guinea pigs. Basil may help to reduce both systolic and diastolic hypertension by blocking calcium channels and reducing vascular resistance. A study of rats showed that basil effectively reduced blood pressure with the administration of basil extract, although the effect was not long lasting, subsiding within a few minutes. Increasing dietary intake of bran, which is high in fiber, has been associated with lower blood pressure. A small study of 25 patients found that a high fiber diet helped to manage hypertension. Indian plantago may be effective in lowering blood pressure in patients with hypertension, particularly when taken in combination with soy protein. This extract of this plant, found in tropical regions and throughout India, can be injected to cause a decrease in blood pressure and slower heart rate. There’s not much evidence on this plant, but it is used by some populations throughout the world. The extract of the murungai plant is thought to reduce blood pressure as a result of the active components thiocarbamate and isothiocynate. In a study of rats, it produces a short-lasting reduction in blood pressure (approximately two minutes) and decreased heart rate in high doses. Karpurvali has be beened in traditional Indian (Aurvedic) medicine for heart disease for a long time. Its effect on blood pressure has been tested in animal studies and it appears to lower blood pressure by relaxing the smooth vascular muscle in the body, widening the blood vessels. Guan Mu Tong is a Chinese medicinal plant that contains magnoflorine, which has diuretic properties and may be useful in the treatment of hypertension. There is insufficient evidence to support this notion. Although black bean extract has been reported to have antihypertensive properties, there is limited research and it is unclear of the effect it may have. The extract from the black plum plant may also be effect in reducing blood pressure and managing hypertension. Oral administration of the plant significantly lowers the blood pressure in rats, but the effect is short-lasting and returns to pre-dosing levels within two hours. And so we’ve reached the end of the list! I really hope the list can help you, as it took me a lot of time to compile. If you do happen to try one of the remedies, I’d be thrilled if you could let me know how the experiment goes!